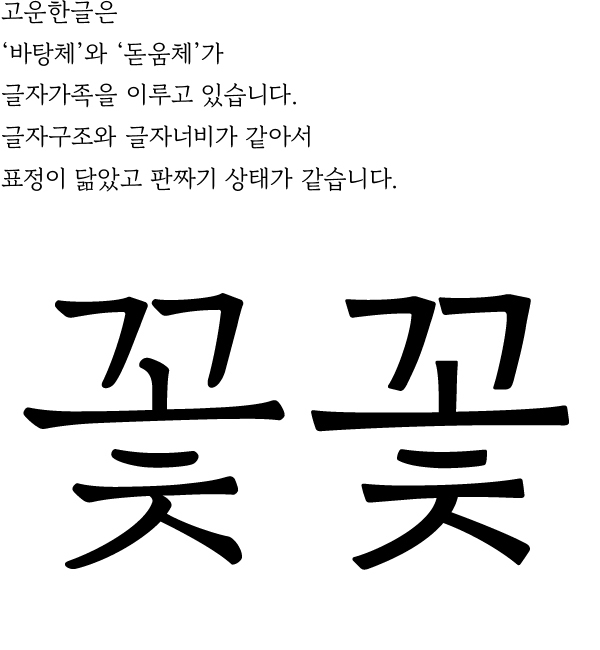 고운한글은 한 글자 한 글자 정성스럽게 써 내려간, 단정하고 고운 손글씨의 표정을 담았습니다. 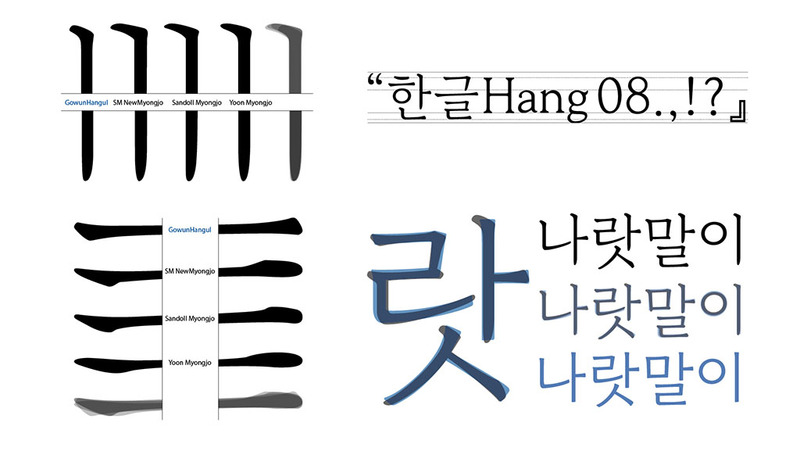 Gowun Hangeul is inspired by neatly written handwriting with pencil and has feminine atmosphere. 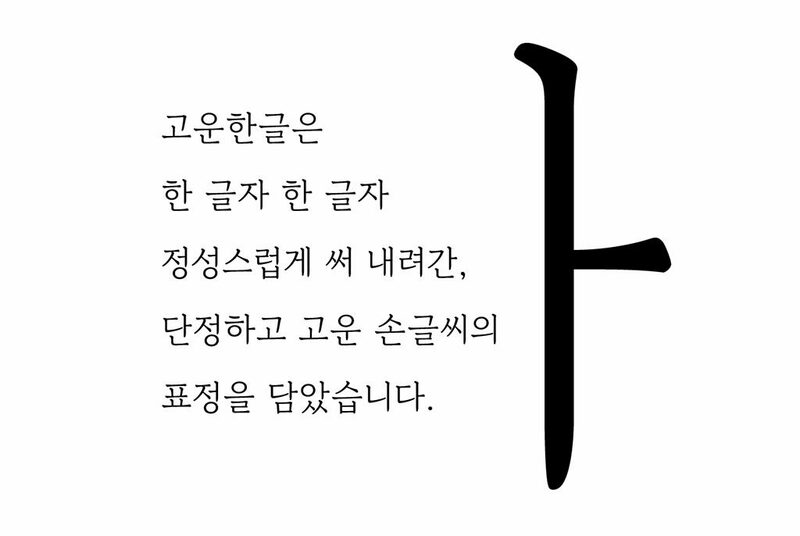 This font expanded its family: Gowun Hangeul Batang(serif) and Gowun Hangeul Dotum(san-serif) and it was not common at that time in Korean. 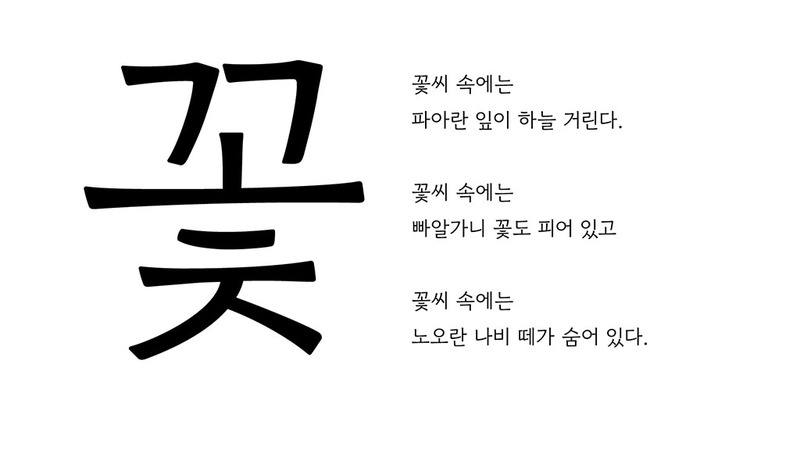 Gowun Hangeul has been used for many media, especially for children’s book, food merchandise packages, etc.